Good Bye Elmhurst Chop Suey. 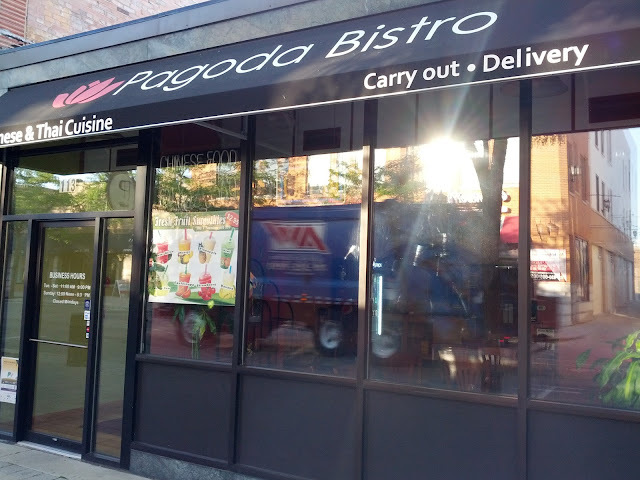 Hello Pagoda Bistro Elmhurst! Rising from the carnage of what seemed like a constantly vacant Chop Suey house is this new place that has a nice size dining room and a great location. Right in Downtown Elmhurst in the City Centre and just a few doors down from the toy store on the east side of York, this *new* place seems that they're aiming for the fast casual dining dollar. I have no idea if the menu has improved, but the curb appeal - with the new awning - certainly has helped appearances.